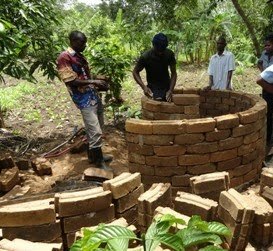 The model village represents a learning centre for appropriate technology in water and sanitation, for appreciation and replication by other communities. 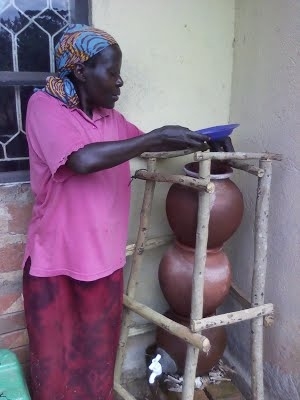 Though inaccessible, there are a number of appropriate technologies that can adequately address water, sanitation and hygiene challenges including rampant breakdown of preventable diseases such as malaria, diarrhoea, skin and respiratory infections. the model village installation is done in phases; starting with a baseline survey, sanitation marketing and installation of demos. in between a couple of meetings with stakeholders were held and through out the entire process ATC closely works with gatekeepers at village level, sub-county and district level. A baseline survey set the ground and provided benchmarks before installation of demos in the set model village. sanitation marketing aimed at triggering demand for alternative and environmental friendly options. The research in in the phase of installing demos which are at the same time being studied for upscale.